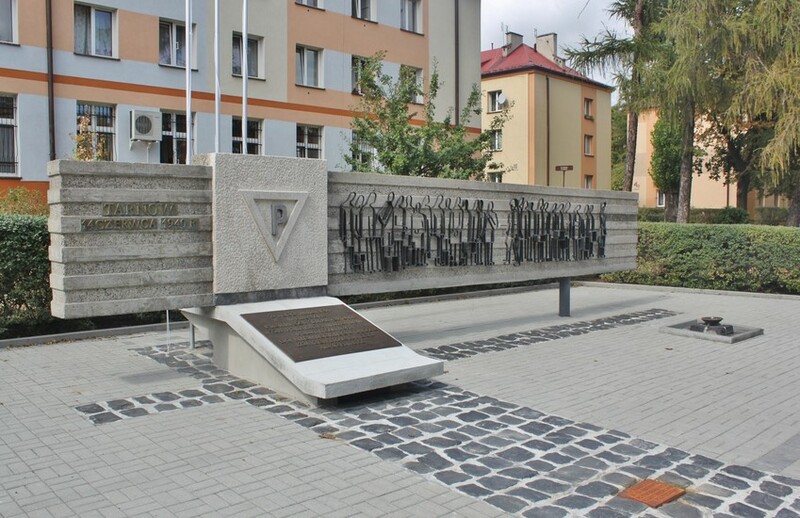 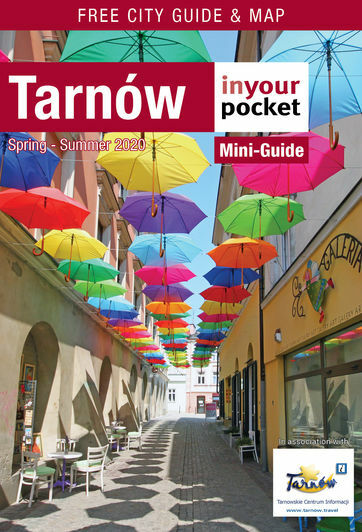 Tarnów has the rather dubious distinction of the being the city from which the Nazis sent the first transport of victims bound for Auschwitz. 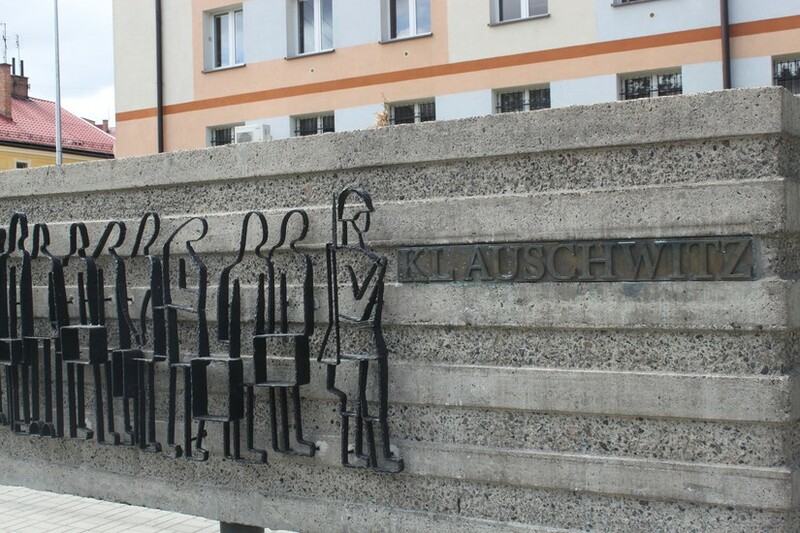 Though they were detained in the mikvah (Jewish bath house) across the street before being marched to the train station from the site of the monument, most of those first victims were actually Polish men from Tarnów and the surrounding area. 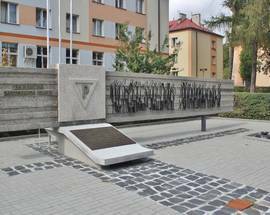 Of 753 people, 728 reached Auschwitz where they were given the camp's lowest prisoner identification numbers; some 200 survived the war. 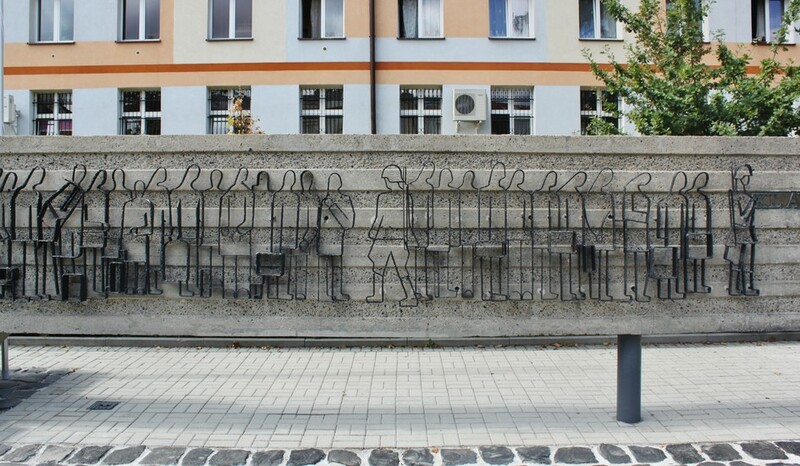 Unveiled on the 35th anniversary of the event (June 14th, 1975), the communist-era memorial remembering that first transport is the work of local architect Otto Schier. 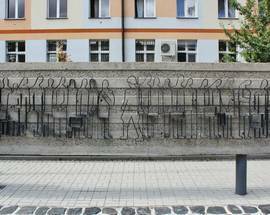 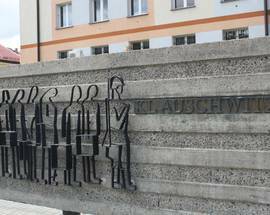 Made of stone and concrete, the wrought iron frieze of figures on the front represents the victims being marched at gunpoint to Auschwitz.